No, my friends, you are not on The Onion...and none of this should be a surprise. 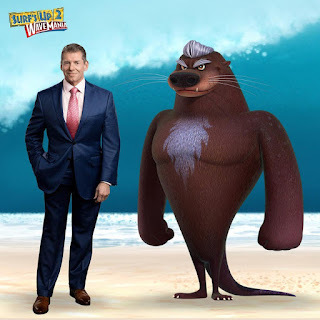 Ever since the WWE invaded the worlds of Scooby Doo and The Flintstones, it was clear...no animated universe was safe. Still...I keep checking the date....and it's not April 1st. 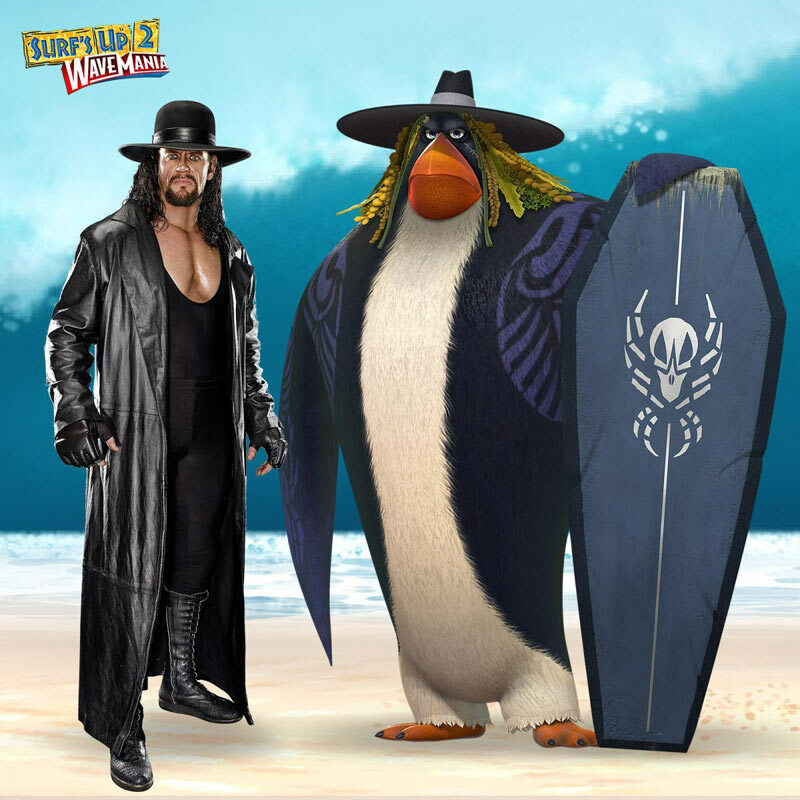 Sony Pictures Animation and WWE Studios announced today an animated sequel to Surf's Up, the 2007 Academy Award nominated action-comedy about surfing penguins. The companies are co-financing and producing the movie which is expected to release in 2017, in time for the original films' 10th anniversary. 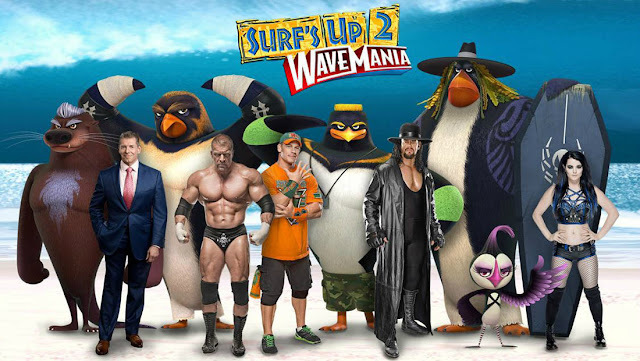 Surf's Up 2: WaveMania will be distributed by Sony Pictures Home Entertainment with WWE Studios providing marketing support by leveraging its extensive multi-platform reach. Cody Maverick, hungry for a new challenge, convinces an infamous big wave riding crew known as The Hang 5, voiced by WWE Superstars John Cena, The Undertaker, Triple H, WWE Diva Paige and Mr. McMahon, to let him join them on their journey to a mysterious surf spot known as The Trenches, where legend has it, they'll find the biggest waves in the world. 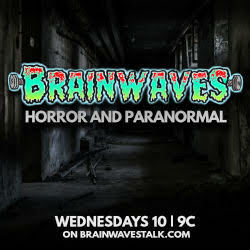 Cody soon discovers that the life he left behind might be more heroic than what any death-defying wave has to offer. 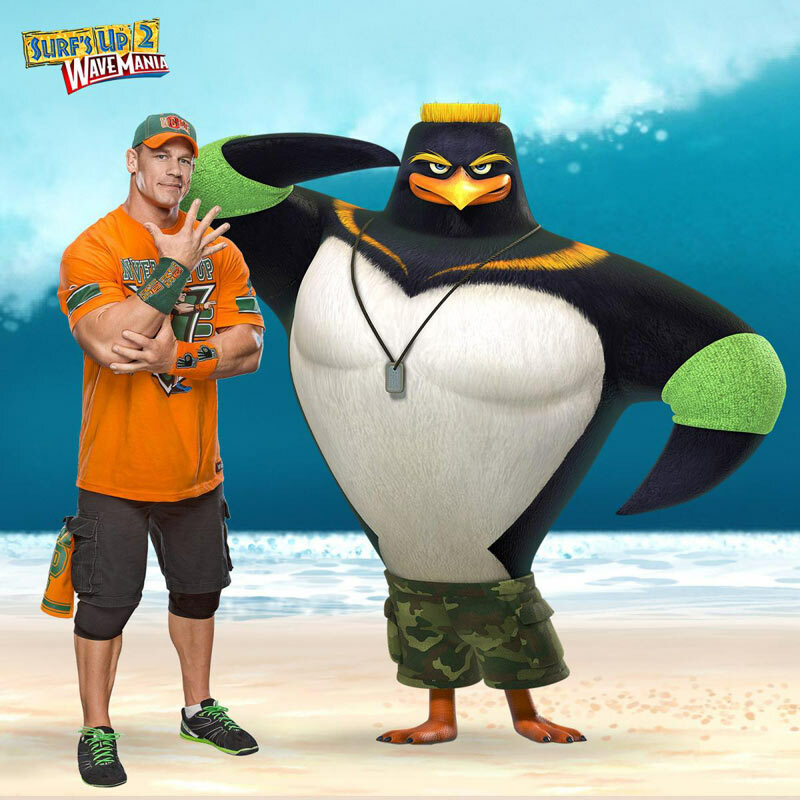 Genndy Tartakovsky's protégé Henry Yu (story artist on Sym-Bionic Titan and both Hotel Transylvania feature films) makes his directorial debut with this project, which is produced by Michelle Wong (production manager on Hotel Transylvania 2) and features computer animation from Rainmaker Entertainment Inc. Abdul Williams (Lottery Ticket) is writing the screenplay. 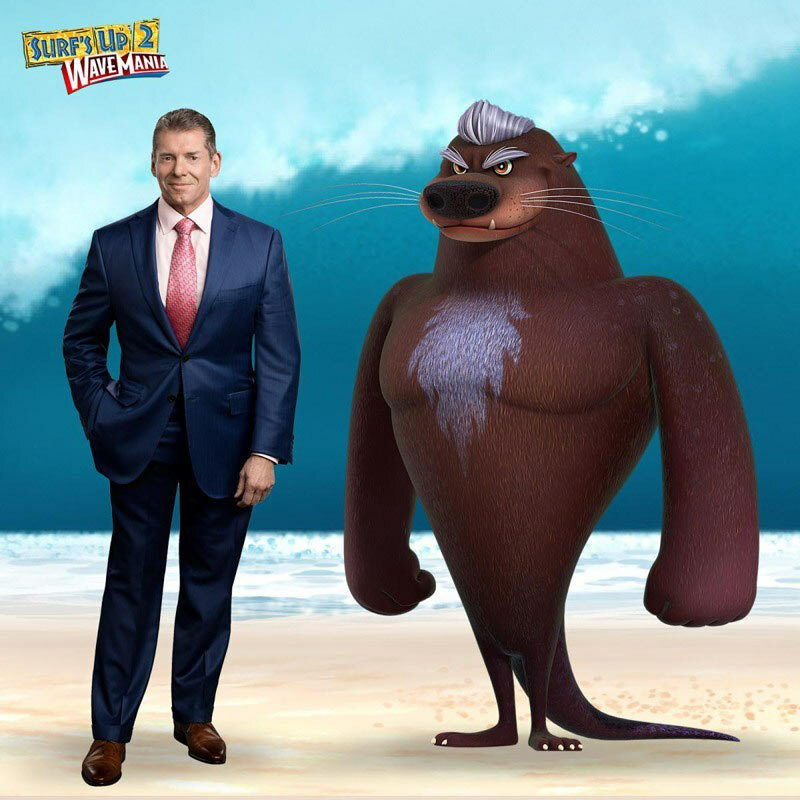 "We are thrilled to be working with Sony Pictures Animation to bring Cody Maverick back to audiences for more adventures, paired with our WWE Superstars in what promises to be a fun animated film for the entire family," said Michael Luisi, WWE Studios President. "WWE has a proven track record with family audiences, and we couldn't be more excited to partner with them and dive back into the fun world of our surfing penguins," adds Kristine Belson, President, Sony Pictures Animation.